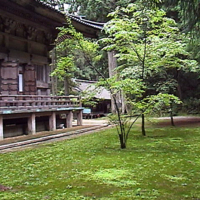 Behind the Saito, or Western Stupa, is this lovely green lawn. 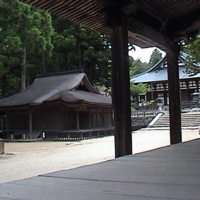 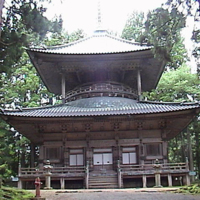 This plain wood stupa adjacent to the larger Daito is known as the Western Stupa or Saito. 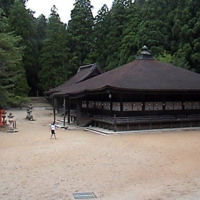 Viewed from the south, this is the Great Stupa or Daito, with the Lecture Hall to the left. 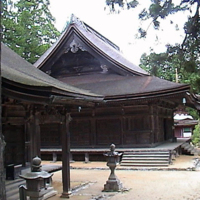 The Miedo, meaning "Hall of the Honorable Portrait," houses an ancient portrait of Kukai, Koyasan's ninth century founder, said to have been painted by his disciple. 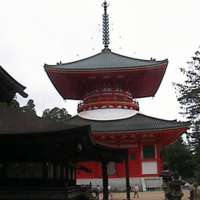 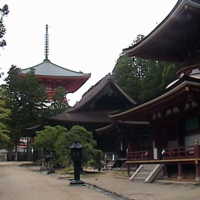 This is a view of the Great Pagoda in the background as one approaches along the path from Kongobuji. 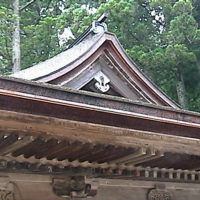 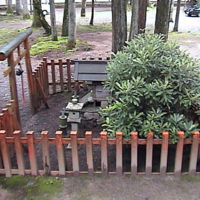 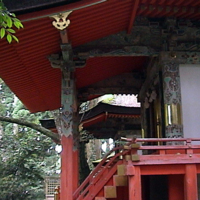 This small Shinto shrine is in a grove of trees across the street from the Kongobuji temple.